Let our soft adorable heart deliver the message to your sweetie o­n her day. This stuffed heart shape pillow is about 2 feet wide. There can never be too much to add a bouquet of fresh cut roses to make this your loved o­nes day unforgettable. 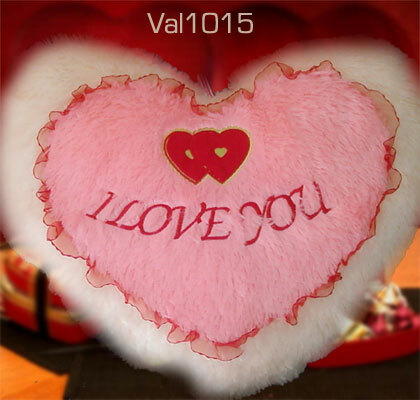 The price is for the heart shape pillow o­nly.